Creating an interesting and successful live stream can take a long time. Time that sometimes we don’t have. You need to prepare quality content, create the perfect live stream setup, test everything and think of all the details before actually going live. Since productivity is key, it’s important to reuse content that you worked so hard to create. Or even share partners’ contents. 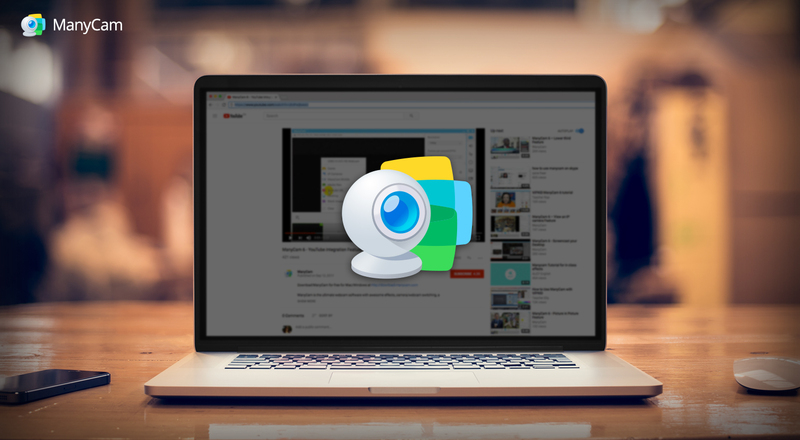 During your live stream, why not show part of a pre-recorded video that is already on your YouTube channel? 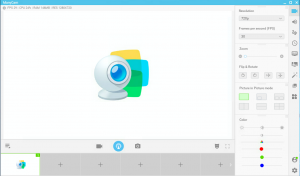 Share with your audience a video of a client’s testimonial? Or you may find an interesting video on the subject you are presenting that you’d like to share, with all the credits to the creators of course. Well, according to Statistic Brain, 300 hours of video is uploaded to YouTube every minute, so I think you can find a few useful YouTube videos. The easiest way to do this, is with a live streaming software. 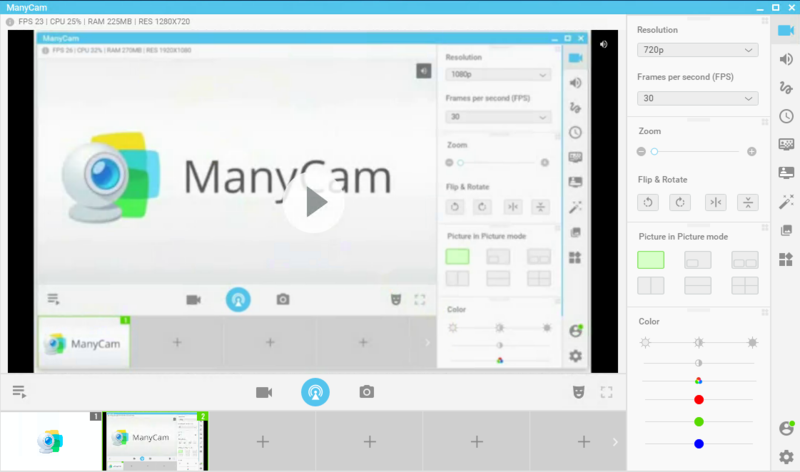 If you already have ManyCam, that’s great, you should skip to the next topic. If you don’t have it yet, you can download it for free right here! 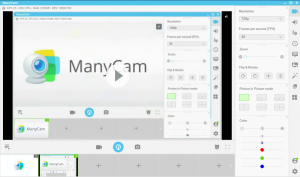 ManyCam is a webcam software and video switcher that allows you to use multiple streaming and video chatting platforms simultaneously, with many tools and features to take your live streams to the next level and enhance your video chats. First thing to do is, get the link for the video or videos you’d like to put on your live stream. 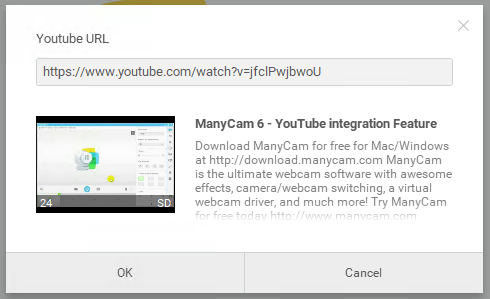 Once you have all the links, simply go on ManyCam and click on the video source to add a new one. In between the options, you will find YouTube URL. When you click on that option, a window pops up and asks you for the URL. 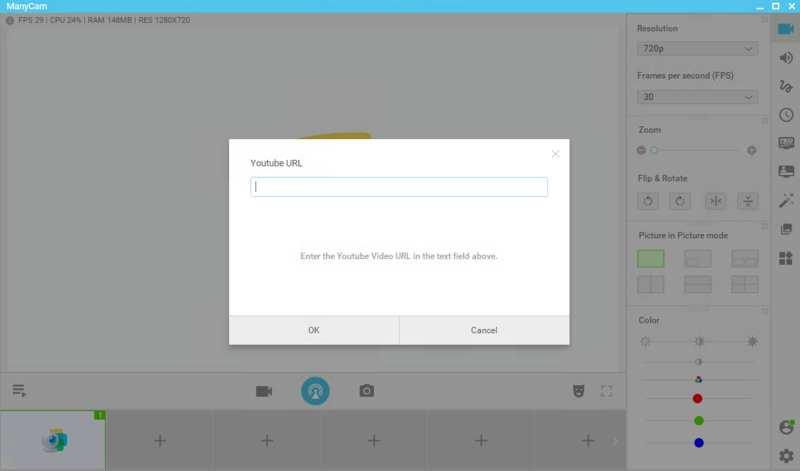 Because you already chose the videos you wanted, you can just copy (CTRL C) the URL from your list and paste it there (CTRL V). The thumbnail and the title of the video will appear, and if everything is correct*, simply hit ok. 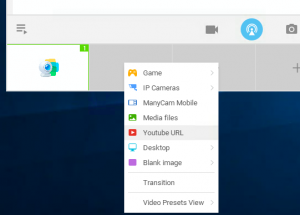 Your video will be added as one of your sources and you can pause/play it at any time. You also have control over the audio of the YouTube video, in case you want to mute it or turn the volume up. *Very few videos might not work due to their specific configurations when uploaded on YouTube but we are working on it! YouTube integration will allow you to be more resourceful and create live streams with great content. Most importantly, you will save time and take advantage of content you already put so much effort in! 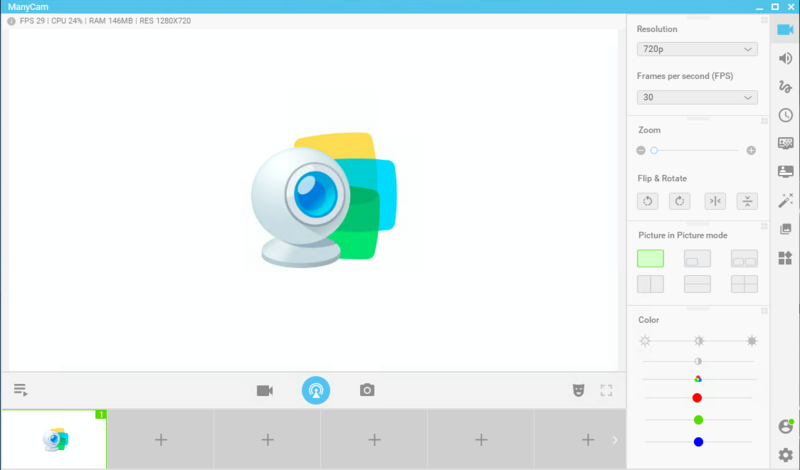 Downloaded by over 60 million people, ManyCam is the to-go software when it comes to professional-looking live streams, creative presentations, and fun video chatting.